We are open everyday from 11am and serve drinks throughout the day. Championing beautiful food made from the finest locally sourced ingredients and seasonal produce. Our Menus change to reflect the best of seasonal produce. Very disappointing indeed and not how I remember it from a lunch visit several years ago. Our table was not very private between kitchen and service areas. Hollandaise sauce quite tasteless and Bearnais sauce stone cold. Service varied between indifferent and excellent depending on who was serving. Fantastic pub. Wonderfully treads the line doing pub classics alongside more refined dishes. Completely brilliant way to spend a Saturday afternoon. Highly recommend. Lovely pub and charming staff. Good food. Lovely meal with great staff in a beautiful pub. Delicious food, lovely atmosphere and fantastic staff. Thank you. A really lovely pub with great food, atmosphere and service. We stayed at The Rectory and enjoyed eating in both places. 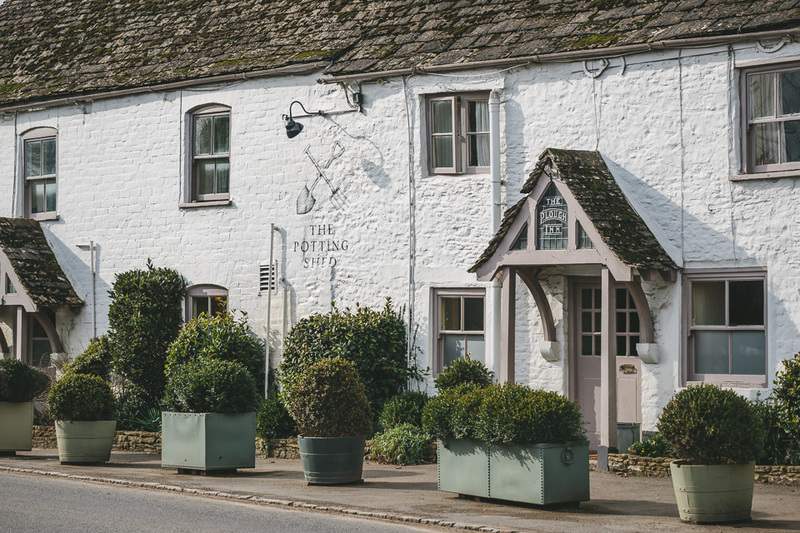 We hope to visit again in the summer and will definitely eat in The Potting Shed! 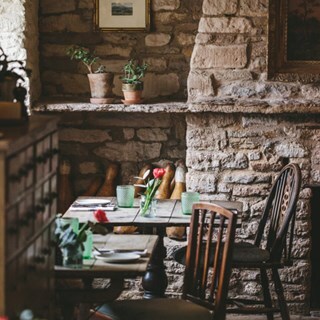 Lovely meal in a fantastic pub, full of Cotswold charm. Generally the staff were good but one waitress seemed disinterested . Would have benefited from bread on the table. Despite the restaurant being very busy on the night we ate there, both food and service were excellent. We were slightly disappointed in the desserts which were very small and didn't really represent good value for money but everything else was delicious and we would definitely return. Good service and food as always. Fantastic meal with good friends. Very friendly welcome and service throughout the evening. Great food also....!! Really loved the sharing Apple pie! Great dinner, proper pub food. Wish they were more ciders on tap, great staff! Homemade pies superb & the idea of a 'shared apple pie for desert was just great. I wish others places would do it. Good beer, great atmosphere eating in the bar - really cannot fault it. Thank you. Very enjoyable with good food. My wife and I had a wonderful Sunday lunch here. The food was fantastic - especially the beef, which was absolutely delicious. The staff were all really friendly, efficient, and faultless. Would highly recommend. 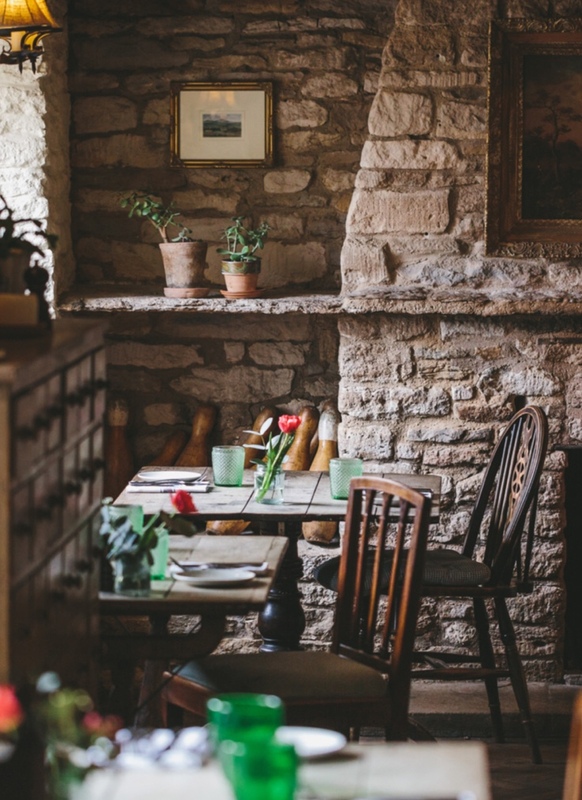 The food was excellent, the character of the place is conducive to conversation. Make sure you book in advance. Fantastic food, really friendly staff and lovely relaxed atmosphere.